Callie is a wonderful little dog. 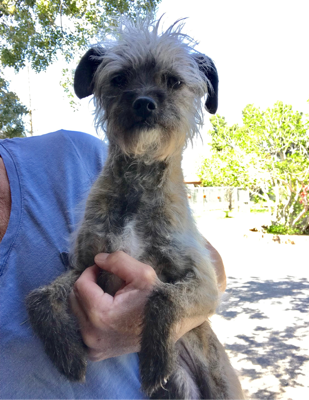 She is a 4 year old Terrier mix. She is so kind and gentle, loves to sit in your lap and is good with other dogs. She is housetrained, playful and friendly with everyone she meets. She was turned into the shelter when her family had allergies. She belonged to a young girl who loved her. We saw her at the shelter and watched her dance and wag her tail and wanted to help find her a home.